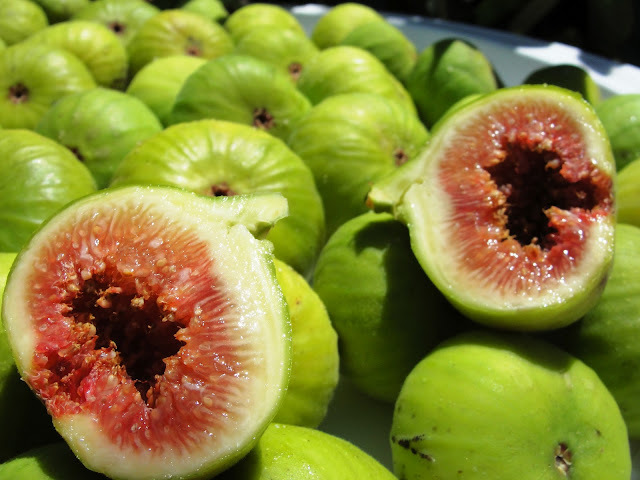 If you haven't had the pleasure of enjoying fresh figs before you're truly missing out. 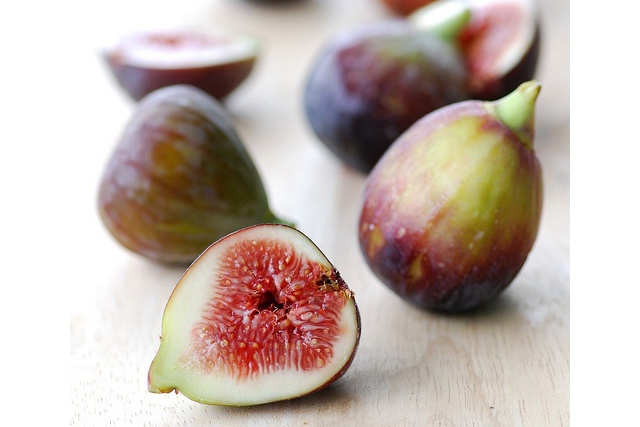 Sweet as sugar, figs are fantastic whether eaten fresh out of hand or used in desserts. 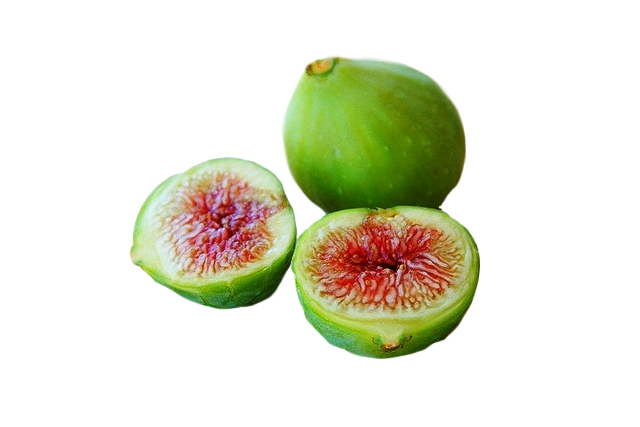 The most popular figs sold in North American markets are the green calimyrna and black mission varieties. But the green kadota and brown turkey varieties are also very good. Most fig lovers buy these by the case (called "flats") and they can consume them all in one sitting. Fresh figs must be bought ripe. Figs won't ripen after they have been picked. Ripe fruit should feel soft to the touch and the outer layer of skin should peel away easily. Quite often there will be cracks in the skin this is another sign of ripeness. 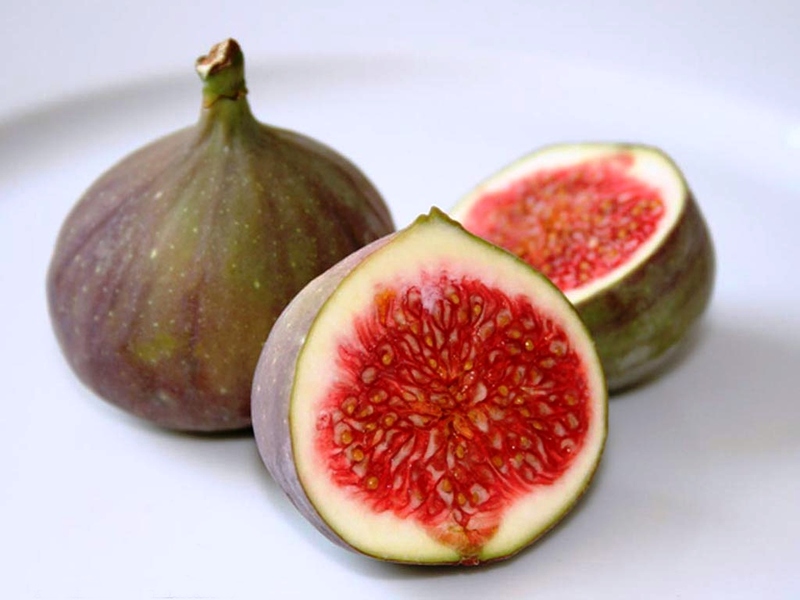 Pass on any figs that feel spongy or hard. Sticky syrup leaking from figs is also a good thing. 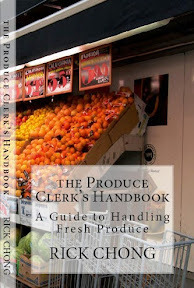 Shrivelled, moldy or pock marked fruit are signs of poor quality. Figs can become moldy overnight and spoil if they are left out at room temperature, always keep refrigerated. 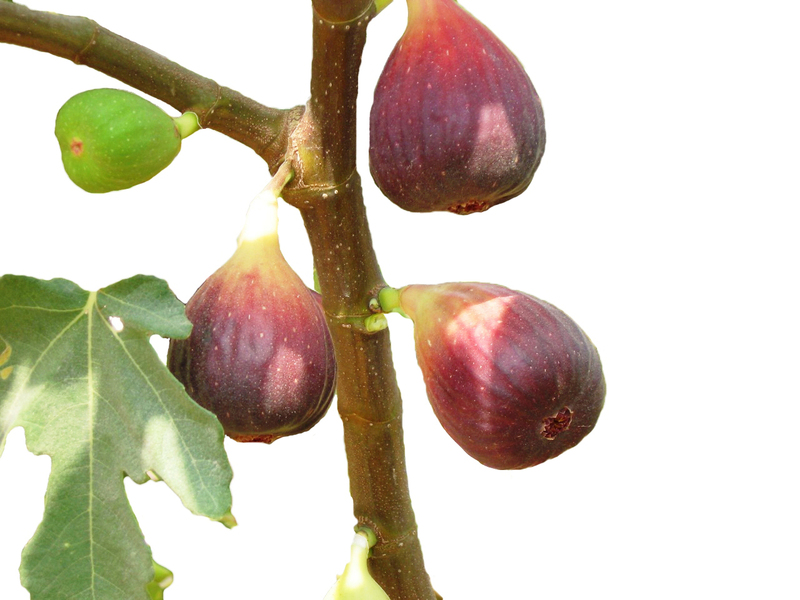 I have sold tens of thousands flats of figs over the years. 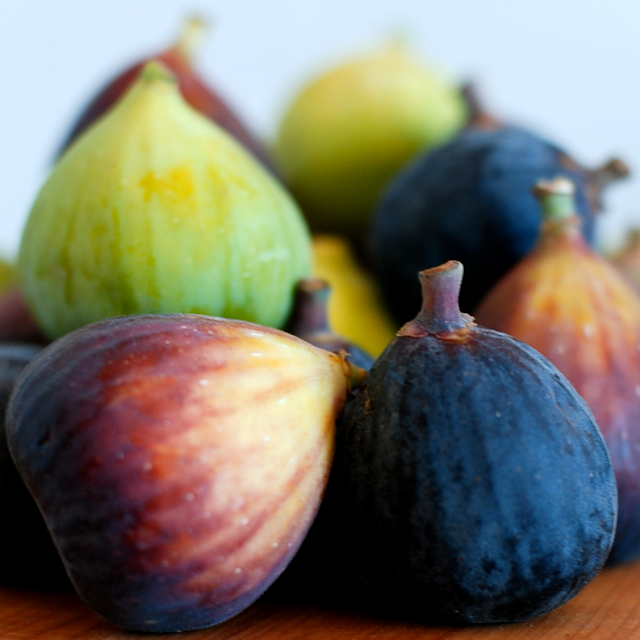 But the best figs I have ever eaten were off the trees at my friend Zia Talebi's farm in Oliver, B.C. a passionate grower. My wife Kim used to eat this unusual gourd as a child in Vietnam. Discussing Gac fruit brings back fond memories for her. We have travelled through Vietnam on ocassion and there are still a few fruit in the world that have captured my curiosity. 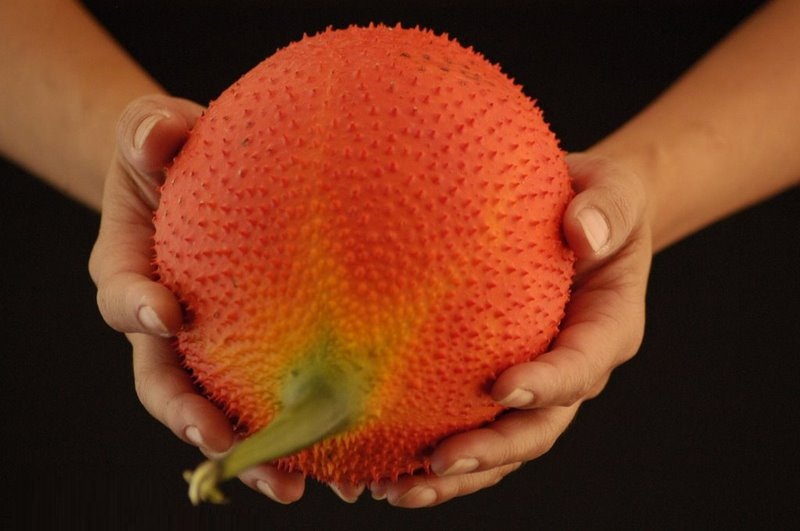 The Gac fruit is one of these curiosities. It is not always convenient to stop at a road side fruit stand and sample the local fruit. Unfortunately sometimes I have to wait years before I get to quench my curiosity. I will be back in Saigon later this year around Vietnamese New Years and will get the chance to eat my fill of Gac! You are probably aware that tomatoes are high in lycopene. 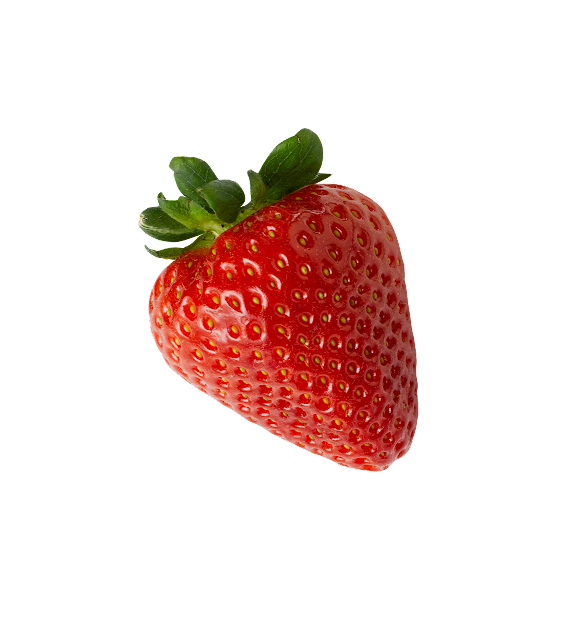 But are you aware of a fruit that has 70X higher lycopene than tomatoes? And, you are probably aware that carrots are high in beta-carotene. But are you aware of a fruit that has 10X higher beta-carotene than carrots? It is estimated that there are between 250,000 to 300,000 species of flowering plants, and regrettably, only about 10% of them have been investigated for commercial or medicinal potential. Gâc (Momordica Cochinchinensis Spreng)(pronounced "Geuk" by native Vietnam speakers) is relatively unknown in western agricultural circles. 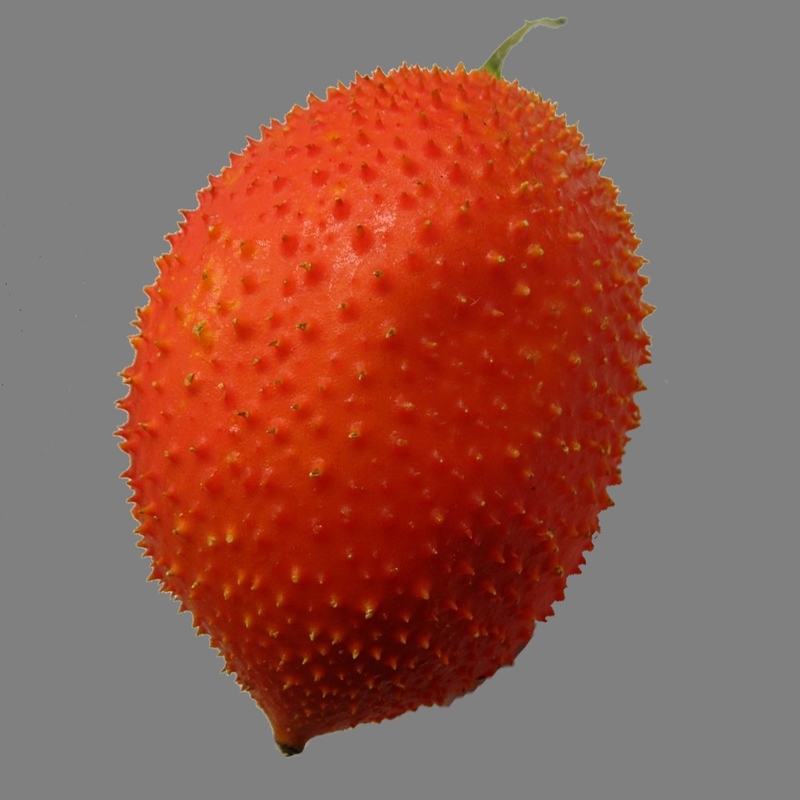 Guichard and Bui first identified carotenoids in Gâc fruit when they traveled to Vietnam in 1941. The discovery of Guichard and Bui rocked the scientific world. According to a 2004 USDA paper (reference below), Gâc aril (the red seed sac) has about 40-70 times the lycopene of tomatoes, and 10 times the beta carotene of carrots. West and Poovlet reported a concentration of 18,810 ug of betacarotene, and 89,150 ug total cartenoids per 100g. This is the real deal. Today, cultivation of Gâc is exceedingly rare outside its native habitat of SE Asia. This is highly unfortunate and represents a missed opportunity for the health conscious consumers worldwide. Gâc is a bright-red fruit that grows as large as a cantaloupe and covered with short spines, hence it is sometimes referred to in English language as "Spiny Cucumber" or "Balsampear". It grows abundantly on attractive, vigorous tropical vines all over sub-tropical Asia, especially in Vietnam. 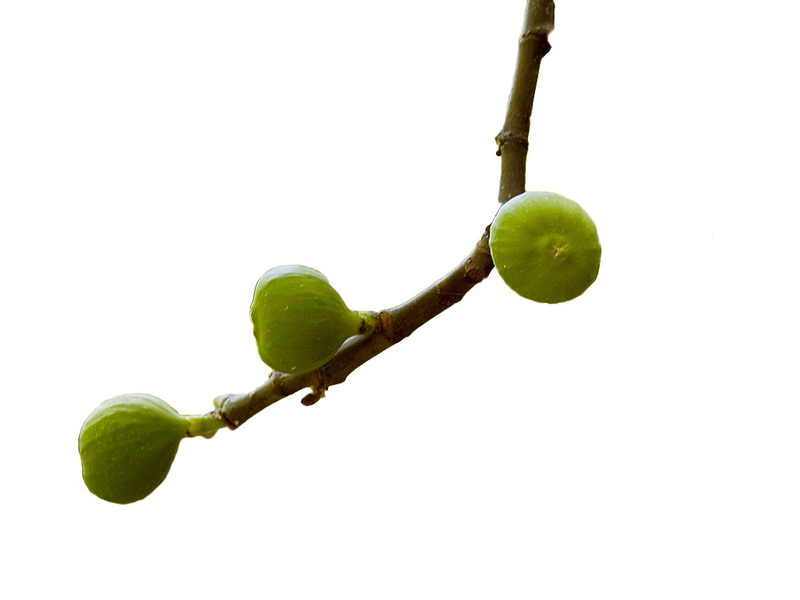 The vine is mildly drought tolerant, and reportedly hardy to 10 degrees F. The large seeds cannot be spread by birds and the plant is considered non-invasive. 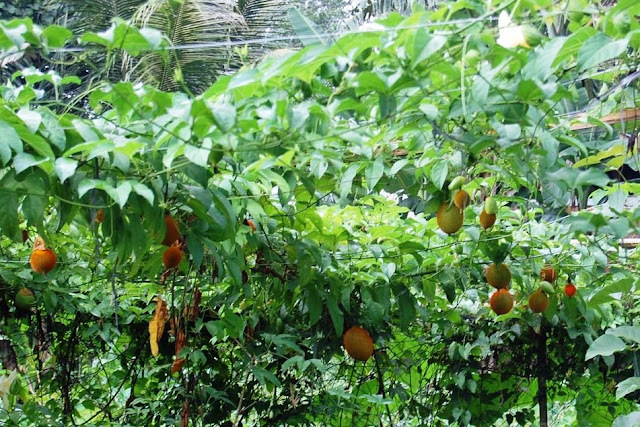 A fountain of antioxidants, as recent scientific research unveiled, this fruit is grown in home gardens and valued for its medicinal potentials. Unfortunately, cultivation of Gâc is exceedingly rare outside its native habitat of SE Asia. In Asian households, the red oily pulp is often cooked with rice. The color and fatty acids from the fruit pulp and seed membrane are stirred into the rice, giving it a lustrous appearance and oil-rich, mild nutty taste. The bright red color generates the visual effect that represents good luck and joy in Vietnamese tradition. What are the health benefits of Gâc? Recent scientific analysis of Gâc oil has revealed that gâc contains significant and extraordinarily high amounts of important anti-oxidants necessary for good health and slowing the effects of aging. The impressive graph below compares the amount of lycopene in Gâc fruit to other common fruits which are already known for their high lycopene content. 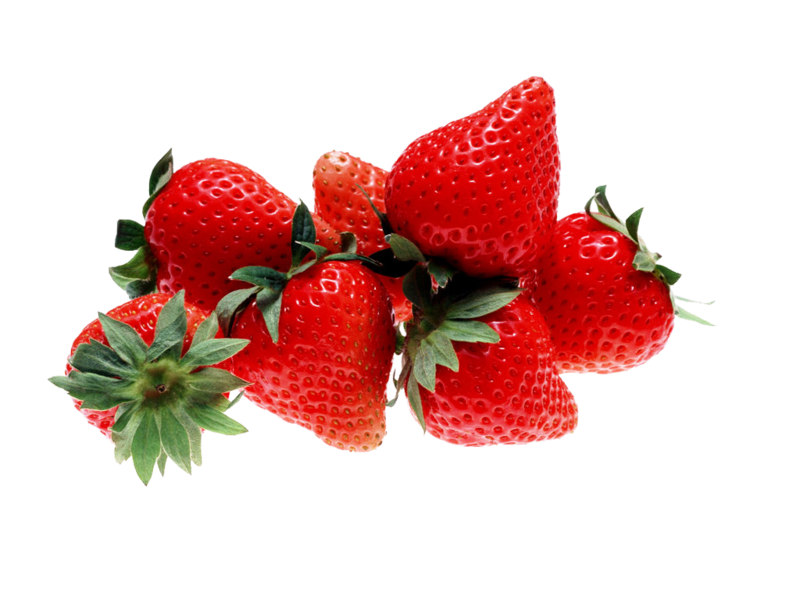 Gâc fruit contains 20X-70X higher lycopene than tomatoes. As such, Gâc is a commercially viable source of this important phyto-nutrient. 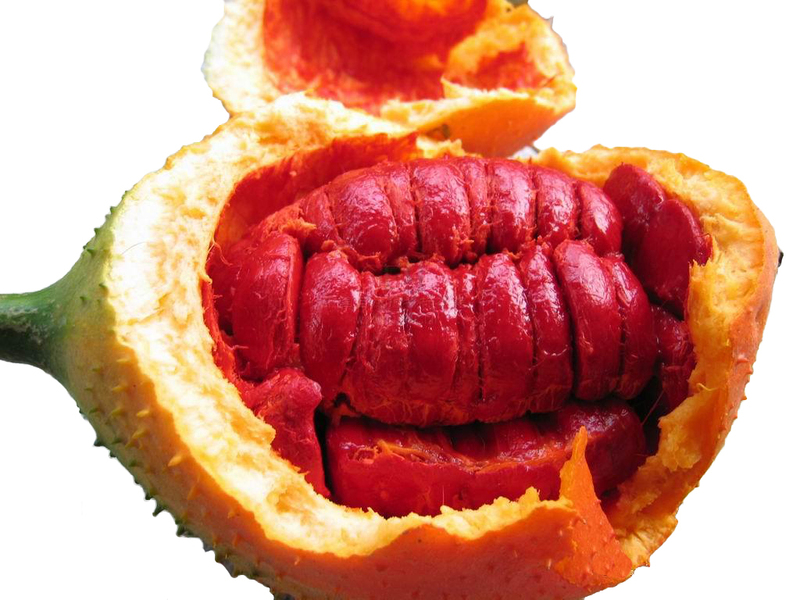 The lycopene is contained in the aril, which is the red oily sacs surrounding the seeds. Insignificant amounts of lycopene are found in the orange mesocarp flesh of the fruit. Gâc fruit oil also contains beta-carotene in significant and extraordinarily high amounts, approximately 10X higher than vegetables already known for their high beta-carotene content, such as carrots. Gâc also has high levels of fatty acids which creates a lipocarotene to deliver higher bioavailable carotenoids. Compared to beta-carotene found in carrots and dark-green vegetables, beta carotene from Gâc fruit appears to be more easily absorbed. Gâc extract has been shown effective in colon cancer tumor remediation in mice (reference below). Carotenoids in plants are the primary dietary source of vitamin A worldwide. The most efficient pro-vitamin A carotenoid is beta-carotene which is abundant in yellow and orange fruits, such as mangoes, papayas, yams, and of course Gâc, and in green leafy vegetables such as spinach, kale, sweet potato leaves, and sweet gourd leaves. In developing countries, thousands of children go blind every year due to a dietary deficiency of vitamin A. Consumption of foods rich in b-carotene theoretically can replete individuals to a healthy vitamin A status. Gâc is remarkably high in beta-carotene and is an outstanding potential resource as a natural cure for Vitamin A deficiency. A number of studies have shown that each of the each of the carotenoids (such as alpha-carotene, lycopene, lutein, canthaxanthin, zeaxanthin, and cryptoxanthin) can have different functions as well as concentrate differently in various tissues. For example, lutein levels are highest in the retina, the liver, and the lungs. 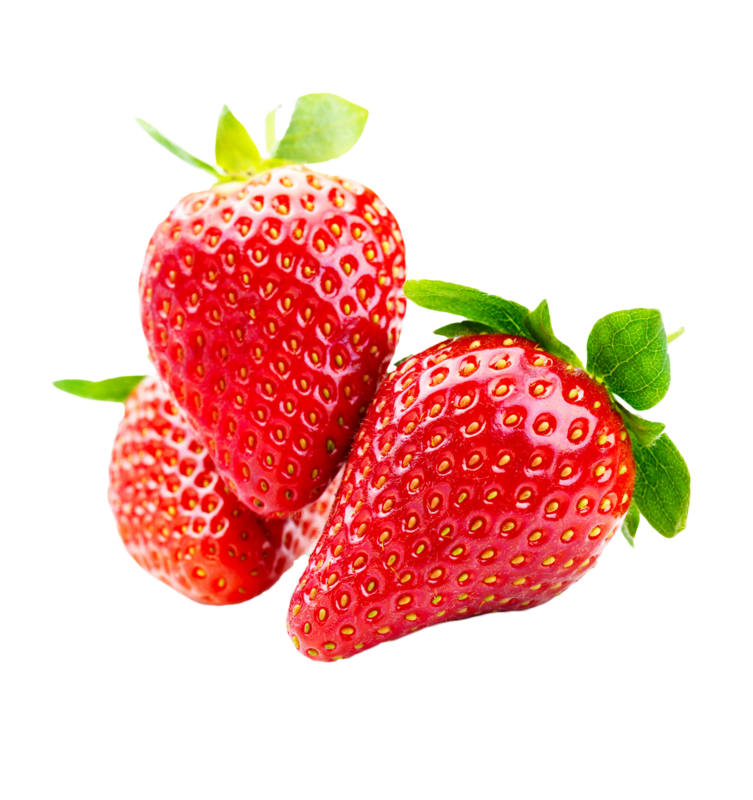 Alpha-carotene levels are highest in the breast and cervix, while lycopene is very high in the liver, lungs, and breast. Carotenoids play a major role in cancer prevention and control, and each acts in a specific organ or tissue. Some of the carotenoids, including alpha-carotene, beta-carotene, beta-cryptoxanthin and gamma-carotene, are converted in the body into vitamin A. Others can be metabolized into a great number of compounds that have also been shown to inhibit cancer. And because they can be dissolved in lipids as well as water, they play a major role in protecting the brain. Many people are aware that very high doses of vitamin A over extended periods can cause liver and brain toxicity, especially in the very young. The unique thing about carotenoids converted to vitamin A is that they will never produce enough vitamin A to be toxic, no matter how high a dose of the carotenoids taken. There is no known toxic dose of beta-carotene, even for infants. It could be said that the Vietnamese people have the lightest, smoothest, and healthiest skin of all Asian races. Recent scientific studies have demonstrated the skin rejuvenating, toning, and youth enhancing benefits of Gâc oil, and recent products have been introduced to capitalize on this. What does Gâc taste like? Gâc flesh and oily sacs are quite palatable and have very little taste, it could be described as a very mild taste, in the same way that a cucumber has very little taste. It is only slightly sweet or not sweet, and it would definitely not be described as delicious, more like plain or bland slightly nutty taste. The aril texture is soft and mushy, similar to raw chicken livers. The mesocarp (light orange outer fleshy part under the spiny skin) is about 2 cm thick and has a soft spongy texture. It is normally discarded (composted!). When the seeds and oil sac are cooked with rice, they impart a lustrous appearance and oil-rich, mild nutty flavor to the rice. As with any pure vegetable oil, pure Gâc oil is not delicious, and it would not be wise to try to get your family to take it with a teaspoon in pure form. Soft gels is the preferred method to take pure Gâc oil. This is similar to many other vegetable oils, which by themselves are quite unpleasant to ingest. Olives are delicious, but a spoonful of olive oil, well, you get the picture. I'm a strawberry lover and when I come across a good batch I hate sharing. I used to hide the best fruit in the back of my store and dole it out sparingly to my favorite customers. They would come in and say "Ok Rick, out with it! What's good today and where are you hiding it!". 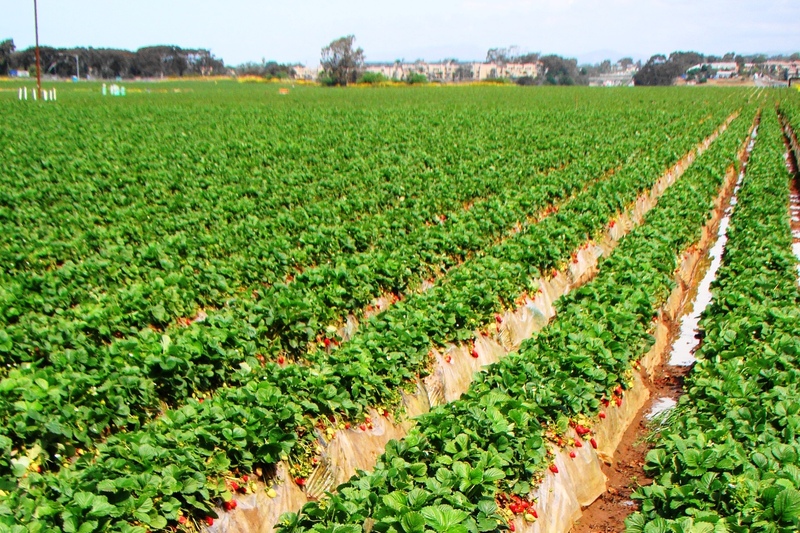 I have sold millions of pounds of strawberries over the years and become choosy. My standards are high, which means you get better fruit. Finding the local berry farm and picking your own strawberries during the summer months is alway best. Filling your buckets and eating at the same time of course. This is a great family activity that everyone usually enjoys. Smiles all around. There are a couple of really good commercial brands in the supermarkets that I recommend. Driscoll and Well-Pict are the 2 best brands offering premium strawberries. 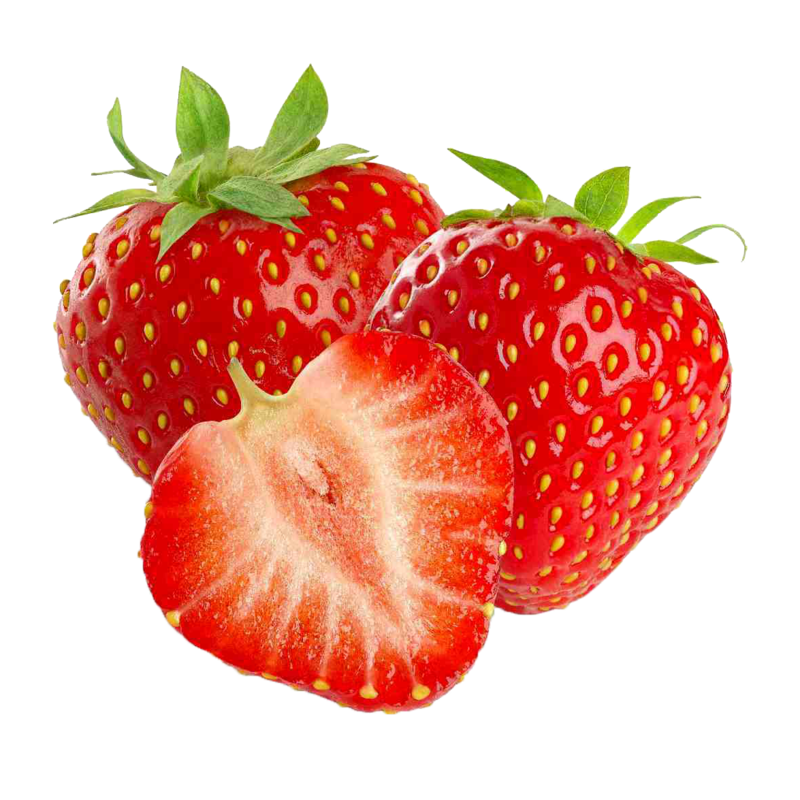 New varieties bred to last longer on the supermarket shelf may not have that deep red color we always associate with good fruit. The taste test is always best so pop one in your mouth. It's true good looking fruit with eye-appeal usually tastes better. 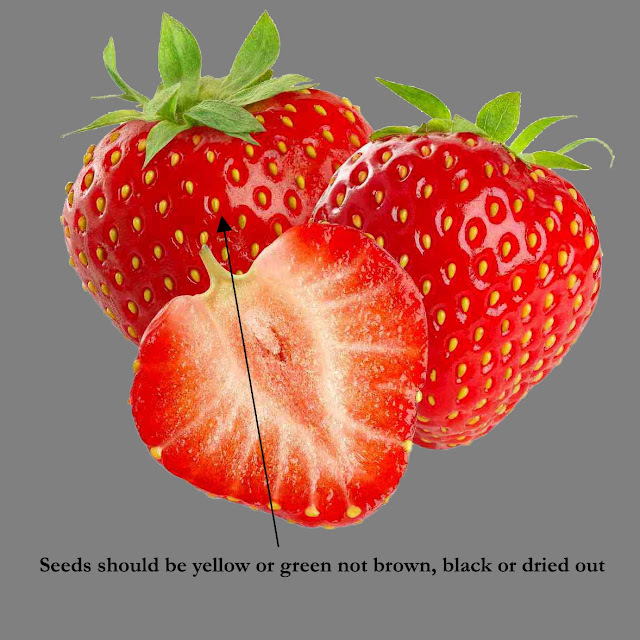 When buying fresh strawberries make sure the leaves are green and the seeds can be either yellow or green too. 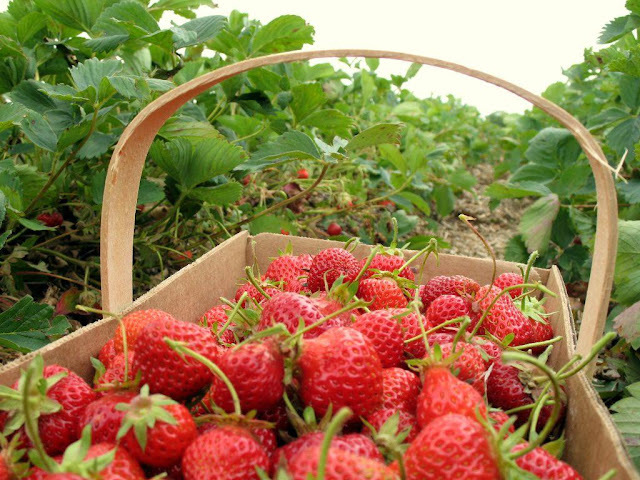 If you are picking up a clamshell container of berries open it up and check under the leaves for mold, wetness and decay. The berries should smell nice. Turn over the container and inspect the bottom too, juice leaking from the clamshell is a sign of bad quality. Pass on the strawberries if the seeds have a brown or black discoloration. Pitting, pockmarks and wrinkling are signs of age.